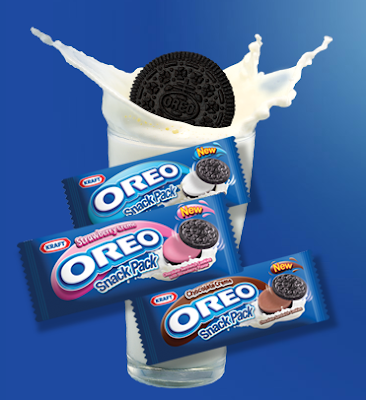 How do you enjoy your OREO cookie? This has been a constant pantry conversation that never fails to elicit laughter and amusement. Some would just eat it whole while some would twist it open, lick the cream and enjoy the chocolate cookie one bite at a time. My style is different though...since I am not fond of the cream but I adore the crunchy chocolate-y cookie and so I carefully twist open my OREO, scrape out the cream and give this to Paul who happily enjoys his OREO with extra cream and pop the entire thing into my mouth. My sister, on the other hand, took inspiration from an old OREO advertisement as she dunks her cookie into a glass of cold milk before taking a bite.